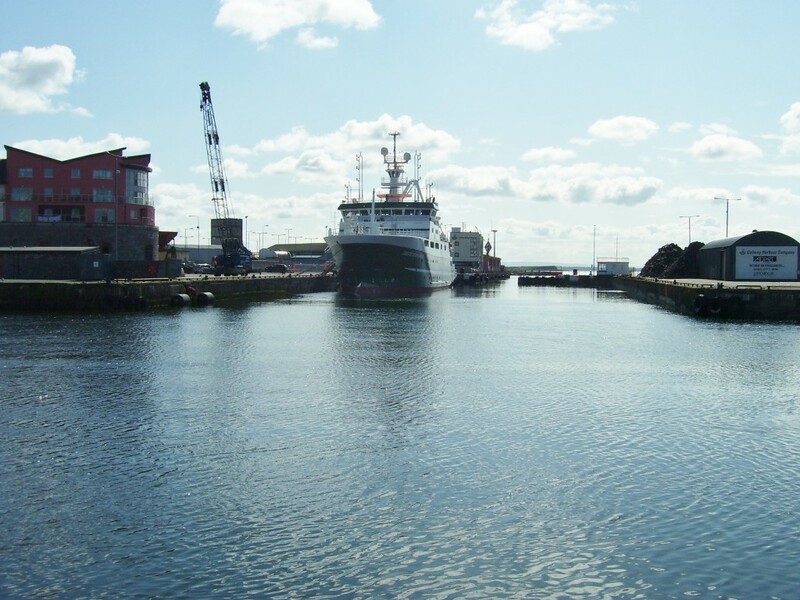 BUSY PORT: The port of Galway hosts a number of visiting ships and commercial vessels and is the place where ferry and freight is sent to the Aran Islands. 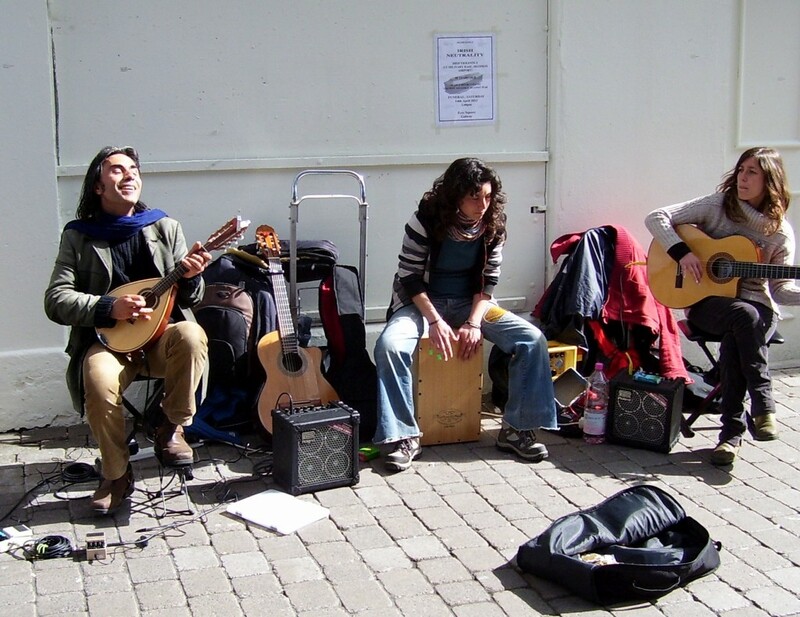 LATIN MUSIC: Some buskers from Spain entertain residents and tourists alike on the streets of Galway. 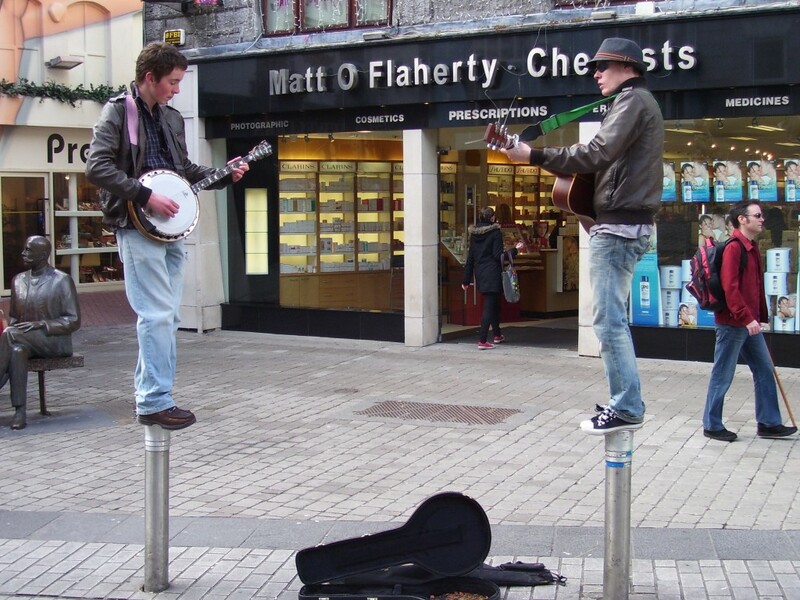 CROWD PLEASERS: These two local buskers make their own unique way of drawing attention to music to passers-by. PEACEFUL PLACE: Some local residents come to this spot along the harbour when they are out walking. 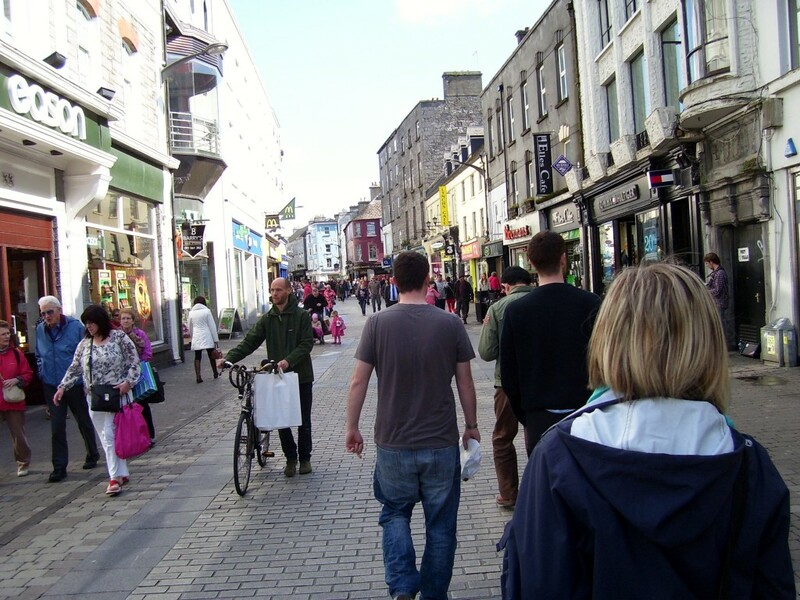 CAR FREE ZONE: Galway town centre runs from Eyre Square south to the Corrib and the pedestrianized zone includes High Street, Shop Street, Mainguard Street, Williams Street and Quay Street. There are many high street and artisan shops, pubs and restaurants. FACING the Atlantic is the city described as Ireland’s “cultural heart” and the fourth most populous place in the country. Eighteen months ago I travelled over to Galway with a Polish friend of mine, Magdalena, to attend the wedding of an Anglo-Irish couple who had previously lived in Dorset. If they are reading this piece at this point, they will know who they are and I wish them much happiness in the years ahead. The city is a three-hour bus ride from central Dublin and it is wonderful to sit back and look at the diverse types of countryside that roll by, some of it easily passing for different parts of rural Dorset and Somerset. To emphasise the city’s cultural diversity, our taxi driver who picked us up hailed from Nigeria and proudly spoke of his brother in London being an avid Tottenham Hotspur, as he was too. Galway is twinned with many cities across the world including Bradford in West Yorkshire, England; Seattle (Washington State); St Louis (Missouri) and Chicago (Illinois) in the United States Lorient, Brittany, France and Moncton, New Brunswick, Canada and five other cities. Current president of Ireland Michael D Higgins was Teachta Dála (MP) for Galway from 1981 to 1982 and 1987-2011. Galway is said to be Ireland’s cultural heart and is noted for its vibrant lifestyle and numerous festivals. In 2004, it could boast of three dance organisations, ten festival companies, two film organisations, two Irish language organisations, 23 musical organisations, 12 theatre companies, two visual arts groups, and four writers’ groups based in the city. Galway has a varied music scene and amongst some of its most famous sons and daughters include the Saw Doctors. 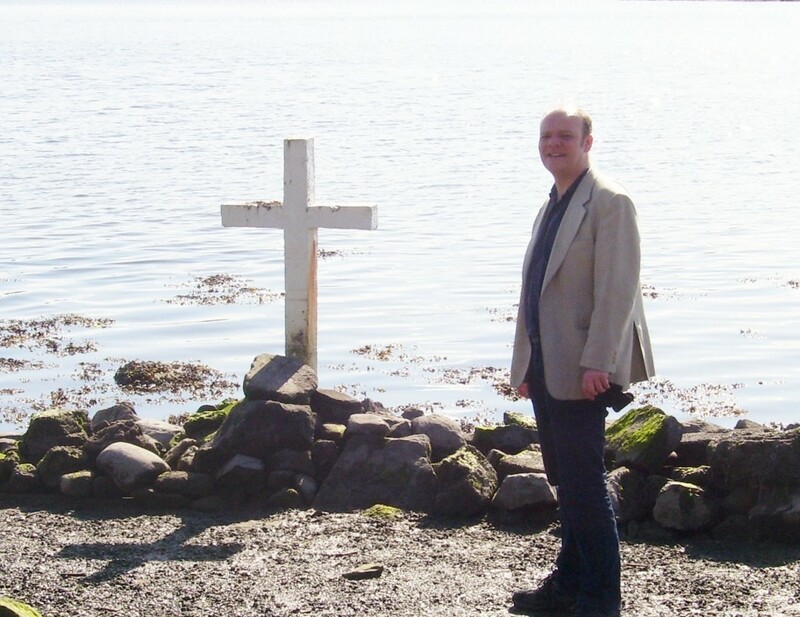 The Galway Music Festival presents music from the early 12th century to the 18th century. The Galway Arts Festival (in Gaelic Féile Ealaíon na Gaillimhe) is one of the biggest in Ireland and has been running every July since 1978. 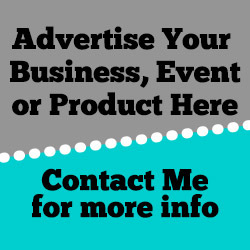 As one of the pictures attached to this article illustrates, some of the city’s buskers and live entertainments performers have unique ways of drawing people’s attention to their talent. Gaelic is widely spoken in the west of Ireland and Galway is said to be the “bi-lingual capital” and An Taibhdhearc is the national Irish language theatre. Galway features prominently in Irish literature, including James Joyce’s short story, The Dead and his poem She Weeps Over Rahoon and Michael Macken’s novel Rain In The Wind. Galway has the most central port on the West Coast in the sheltered east corner of Galway Bay. The port can host vessels of up to 10,000 metric tonnes. Regular freight and ferry services operate between Galway and the Aran Islands. Major work was carried out in the port area in 2009 to accommodate the Volvo Ocean Race, one of the biggest events ever to visit the port and three years later it hosted the finale.